In the United States today, over 10 billion Internet searches are performed every month, and many of those searches are location specific – i.e., the user is looking for something local and uses a city or state name in the search. So if you and your business are looking for a way to get an edge on your local competitors, then you can’t go wrong with investing in some local SEO listings. Once upon a time, when you needed to find the number of a local business, you cracked open a phone book and tried to remember the alphabet so you could find what you needed. Today, however, the phone book is going the way of the dinosaurs as more and more people instinctively turn to the Internet to find what they’re looking for in their cities, and if you want them to find you instead of the other guy, then local SEO listings are the way to do it. Local SEO listings ensure your website is optimized to appear whenever someone searches for the products or services you offer in your area. 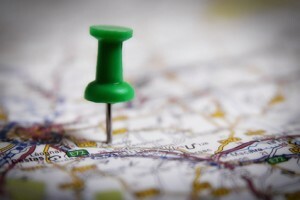 This optimization is accomplished through a variety of methods, much like “regular” search engine optimization, only with the addition of a focus on geo-targeting. At JSA Interactive, our expert team will work with you to assemble a comprehensive, effective local optimization plan that is completely tailored to your business’s needs. You will get a leg up on the local competition by placing yourself front and center, making you easier to find. And the easier you are to find, the more likely a potential customer is to convert into an actual customer. To get started, simply request a quote, tell us what you need, and a JSA Interactive representative will be in touch soon to discuss your options and how we can help. And for more information on what we’ve done for our clients so you can get an even better idea of what we can do for you, we invite you to please check out one (or all!) of our free case studies, available for download instantly.